Sunmi starts as a waitress in Papa Song’s diner, but soon becomes self aware and rebels. 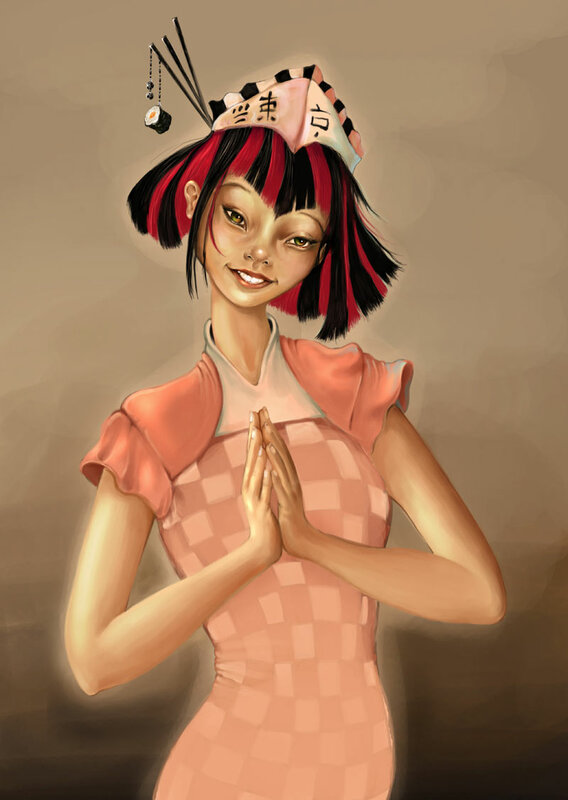 In the book Sunmi is recognized by people as a clone although she is very human looking. I figured she has some sort of attribute that makes her instantly recognizable as the Sunmi model. So her hair felt like a good bet and probably a very costumer pleasing face. 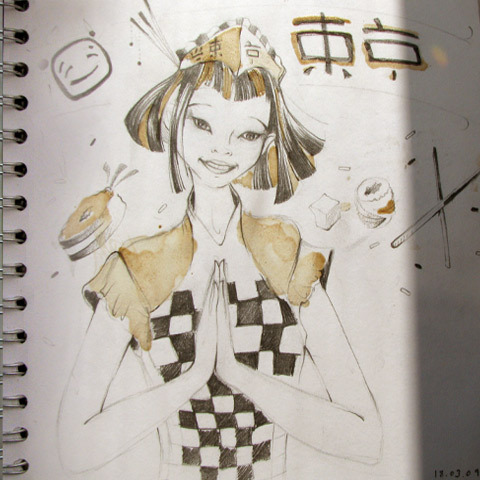 sushi accessory which I added only during coloring Sketch was done using pencil and coffee! Love this. And I hope Cloud Atlas gets made into a brilliant movie some day.